Rbkit is a profiler built with ease of use in mind. Currently it supports memory profiling (CPU profiling in works) of Ruby applications. Rbkit has been designed as a low-pause profiler to be used for profiling real world applications. Desgined to be low pause. Uses Zeromq and msgpack underneath for communication. All heavy lifting done in client side. 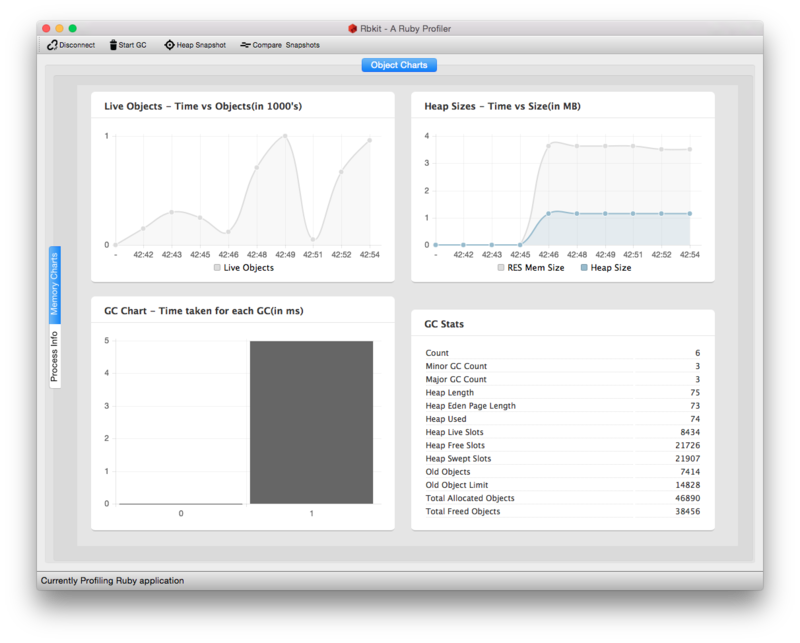 Ruby library only gathers and sends data to the Desktop app (available for OSX and Linux).